Mavospec Base – light redefined. Mavospec Base – documented safety. 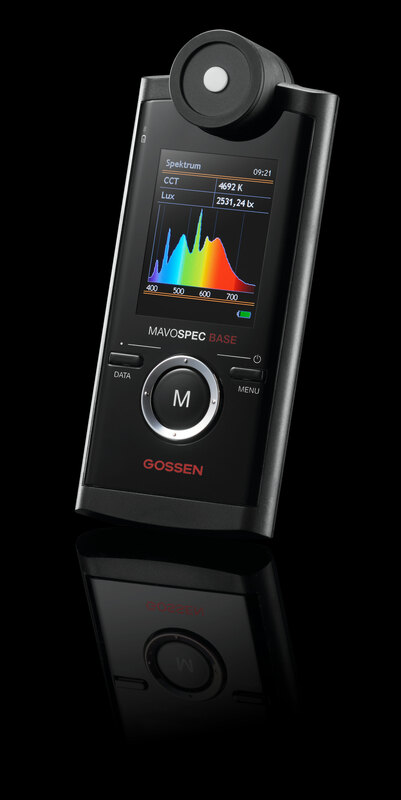 Accurate measurement and comprehensible qualification: Mavospec Base – the innovative spectrometer. Color rendering and flicker of the utilized lighting are additional quantities which influence eyesight, viewing comfort, safety and health protection. They need to be taken into consideration in addition to illuminance. LED lighting technology has numerous degrees of freedom with regard to light and color quality. Competent sales organizations are familiar with the strengths and weaknesses of the individual manufacturers and take advantage of this knowledge to provide their customers with the best possible advice. The atmosphere of a room is the result of lighting moods, as well as light and color effects, and depends on skillful selection of light fixtures. Where different light sources are used, their color temperatures have to be matched to each other in order to be able to conduct proper white balancing. The optimum representation of color is achieved by means of a high color rendering index. Measurement of the photosynthetic photon flux density PPFD and evaluation of the spectrum with regard to photosynthetically active components.